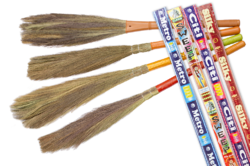 With our vast experience in this domain, we are engaged in offering superior quality Silky Floor Brooms. These brooms are manufactured using special hand picked Orissa grass and advanced production techniques. Moreover, the brooms offered by us are tested on various parameters so as to ensure their durability and superior quality. For meeting the diverse requirements of our clients, we are engaged in manufacturing and supplying a wide range of Coco Floor Brooms. These brooms are manufactured using coconut tree leaf, which ensures prefect cleaning of rough ground and stiff sweeping jobs like sweeping fallen leaves and stones. The offered brooms are available in different sizes that suit the diverse requirements of our clients. We are one of the prominent organization engaged in offering superior quality DomesticBroom. The high-grade jute is used to manufacture these brooms in compliance with international standards and norms. 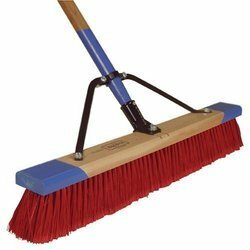 These brooms are widely used for cleaning & many other purposes in different domestic and commercial sectors. Clients can avail these brooms in different specifications as per their requirements. With the thorough knowledge of the varied aspects of the market, we have been able to provide the customers with a commendable range of New Grass Brooms. Marketed under the brand name of 'Sweep','Silky' and 'Metro', the range is fabricated using soft grass implementing technologies. Additionally, we offer coco brooms, that are fabricated using raw and clean coco stick. Widely used for sweeping, the range is marketed under the brand name of 'city' and 'metro'. Causes minimum strain on sweeper's back. 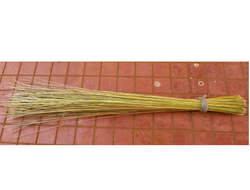 Our customers can avail from us a wide range of Tall Fiber Floor Brooms. The brooms offered by us are manufactured using ultra grade natural or synthetic fibers that ensure fine cleaning. 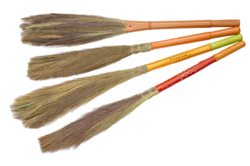 These brooms are widely used for cleaning any kind of rough or smooth floor. The offered brooms are availed with tuffs of fiber, which are planted on plastic or wooden horizontal base with long handle. Moreover, we offer road brushes with their long handle. The users can sweep in standing position with high comfort, with the help of long handle.